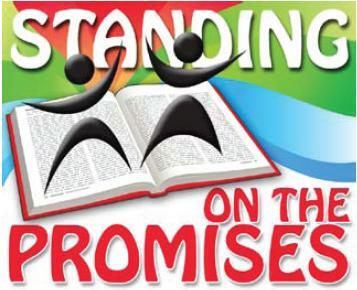 My promises to you are yes and so be it to those who will believe, says the Lord. I will honor My Word concerning you. Just take Me at My word and believe. Trust that I Am able to do exceedingly above that which you could ever ask or think. Do not limit My ability. Do not limit yours! I will enable you to do what I have called and chosen you to do. It is not by your might nor by your power, but by My indwelling Spirit, says the Lord. It is independent of what you or anyone else can do on your own strength and power. It is My ability that I have given you. I Am the One who will enable you to do great and mighty things because I Am equipping you with My Spirit, giving you My thoughts and ways. Trust in Me. I will bring it to pass. I will cause My will to be done in you and those you entrust to Me as you simply receive from Me of My fullness. There is no such thing as failure with Me on your side. I Am your God, and I fail not. With Me you will succeed and never fail, says the Lord. I will lead you one step at a time toward your full destiny in Me. You do not have to understand how I will do it; just trust that I will, says the Lord. If you could comprehend it, then it would not require My miraculous power. I Am above and beyond your circumstances and I cannot be detained, I cannot be disrupted, I cannot be threatened, and I have no opposition. I AM the Almighty God in the midst of you and there is no power that can resist Me. I Am in complete control. Everything is attainable, for nothing is impossible with Me. Give yourself fully to Me and let your faith arise in your heart. Look up. Stand up in pure faith and trust in Me. I will accomplish everything that I have purposed in your life as you simply let ME do it. Are you ready? I Am. I Am ready to elevate you and take you to place of promotion in My presence as you abandon yourself to Me, come into My presence where there is fullness of joy, and receive what I have already planned and purposed for you, says the Lord.